Because you and your dog go everywhere together you need something versatile, that is designed for walking and as a car restraint...something that will make every step of any trip convenient, comfortable and controlled. The Tru-Fit Smart Harness is quick and easy to put on, simply slip it over your dog's head and then clip around the midsection. The 5 different adjustments provide nearly a custom fit and the chest pad makes sure you can control your pet. 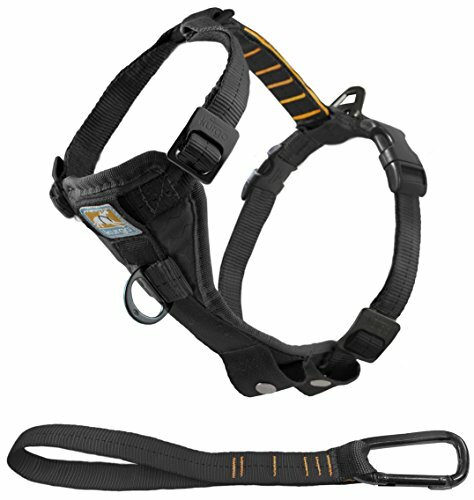 The harness comes in a range of colours and sizes. If you have any questions or concerns about our products, please contact Kurgo Customer Service Department at 877-847-3868 and they will assist you! If you have any questions about this product by Kurgo, contact us by completing and submitting the form below. If you are looking for a specif part number, please include it with your message.